ONE LAST CHANCE BEFORE THEY'RE GONE! 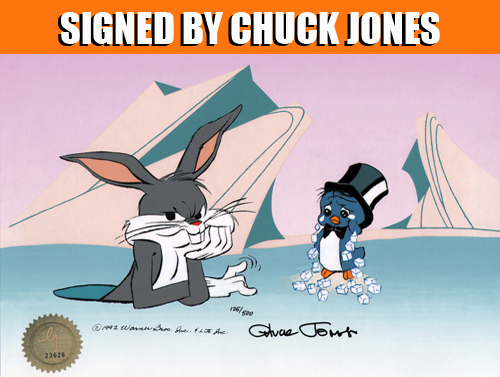 Welcome to the Comic Mint online gallery of animation original and limited edition artwork, as well as rare comic and TV collectibles. We specialise in finding rare and unique pieces from all of the major studios, as well as private collections from around the world. The owner, Andrew Van Embden, has been in the business of selling and collecting art and collectibles for over 30 years, and is an expert in the business matched by none! Our extensive online gallery provides in-depth information about each piece, as well as high definition images, so you can see exactly what you are getting. Our policy is to provide our customers with a pleasant buying experience, and ensure that your purchase(s) arrive in a speedy manner. We are always adding new pieces to our website, so check back often to see what’s new. We look forward to hearing from you. Subscribe to our newsletter to get regular information about our latest releases. Simply fill out the subscription form on the right – we are looking forward to providing you with lots of great new art. NEW! RARE “THE SIMPSONS” ORIGINAL CELS! The Ren and Stimpy Show is back! And we've got the BEST there is! Happy, Happy, Joy, Joy! At last! New Original FUTURAMA Drawings! NEW! Original FAMILY GUY Drawings! If it's FUNNIES you want, it's FUNNIES you get! 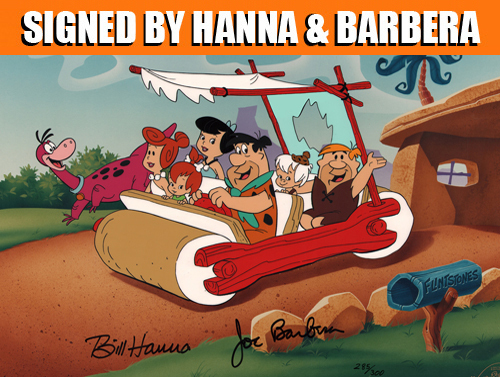 CLASSIC Hanna-Barbera cartoon title cels, and much, much more! Whatever happened to these TOONS ?? ?